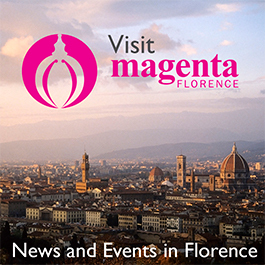 A look at an elegant exhibit at Prato's Textile Museum. 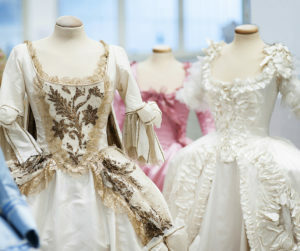 Pink taffeta, crisp sky-blue satin, and delicate white-lace-trimmed fabrics are showcased at The Costumes of an Oscar Queen at Prato’s Textile Museum through June 10. In a beautiful and charming presentation, the museum displays the Academy Award winning costumes from the 2006 Sophia Coppola movie Marie Antoinette (2006) worn by Kirsten Durst. Head costume designer Milena Canonero did copious amount of research to perfect the extravagant period Parisian styles. Critics consider her designs the best cinematographic reinterpretation ever created of 18th century clothing. The mix between classic styles and silk fabrics in pretty pastel colors create a contemporary and glamorous take on France’s most famous queen in a spectacular display. While marriage was not a happy one, Marie Antoinette’s wardrobe is unforgettable. The exhibition at the Textile Museum is a spectacular display. Detailed information in both Italian and English are presented while an animated film about Marie Antoinette’s fashion history is projected on the wall. Furthermore, in the costume room, visitors can see the actual costume while also watching a slideshow of movie stills showing in which part of the film each costume was worn. Colorful brocade wallpapers cover the room, making visitors feel like they just stepped into 18th century Paris. Hours are Tues. – Thurs. 10 am – 3 pm, Fri. & Sat. 10 am – 7 pm; Sun. 3 – 7 pm, closed Monday. Admission is €7.